The Mille Miglia gets better and better every day—no matter if your car is broken and you’re out of the race. 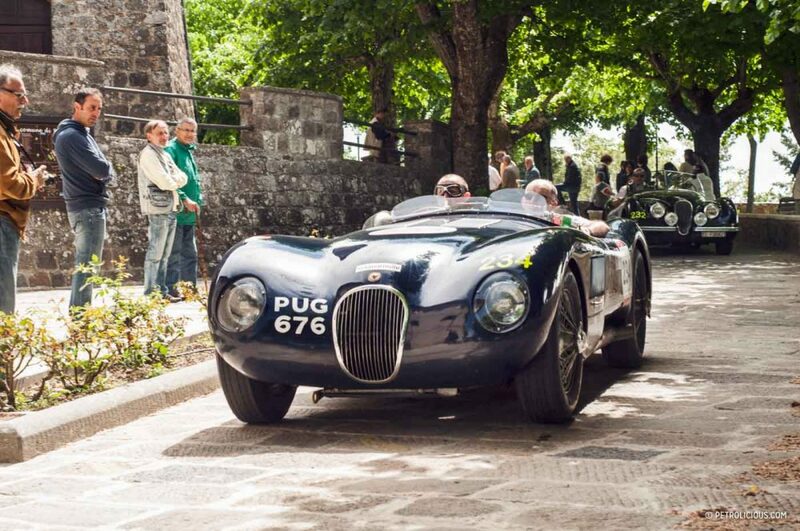 There are benefits in being out of an Italian car competition: you can instead enjoy the sight of hundreds of cars, driving fast across beautiful scenery. From a certain point of view, it is a better thing to be driving a press car than to be concentrated in reading some notes and operating chronometers. 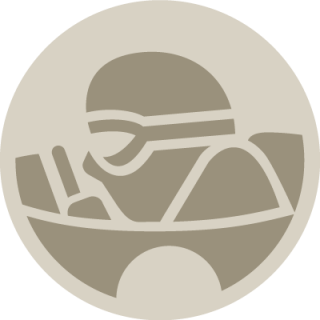 Do not get me wrong though: I did enjoy my time in the co-driver’s seat! 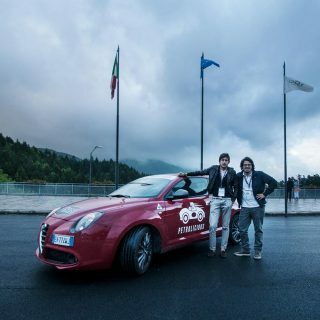 After our car broke down a few miles away from Urbino, I joined my ever present photographer, Federico, in a new Alfa Romeo MiTo QV to cover the last leg to Rome. 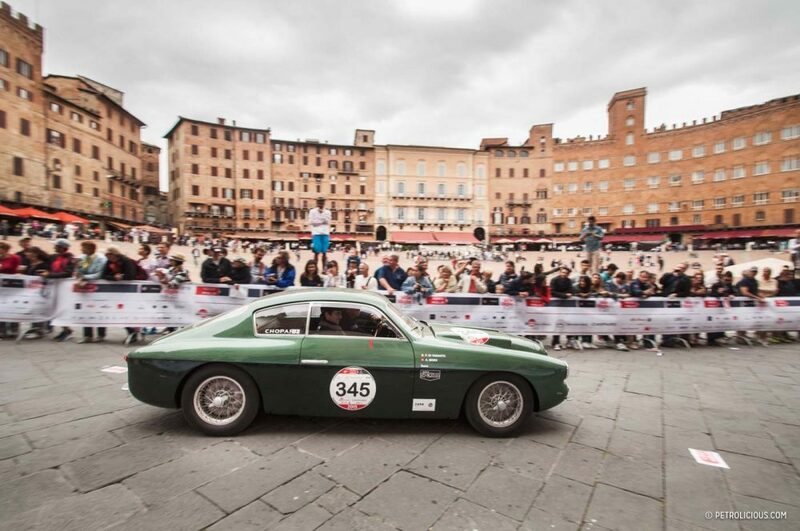 This part of the journey was boring: we lost a lot of time organizing assistance for the Fiat 1100 by Zagato and catching up with the car convoy. 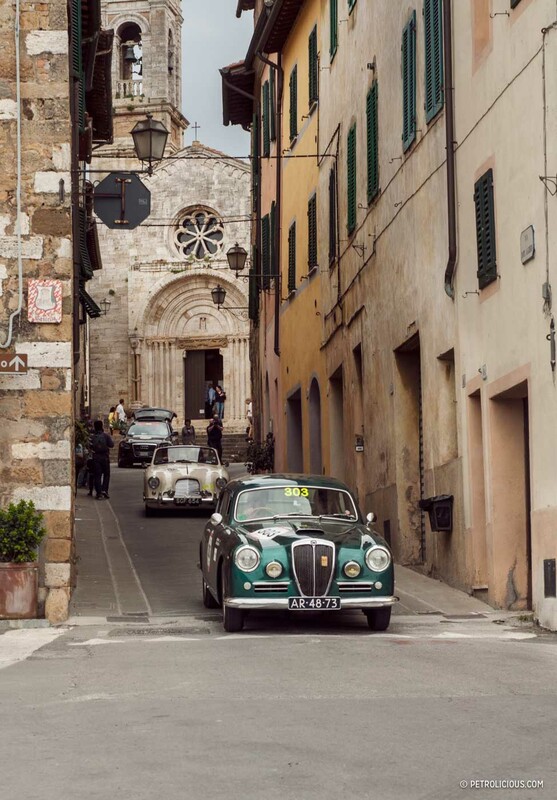 We did, however, experience the beautiful Gran Sasso d’Italia scenery and we enjoyed our drive to Rome, despite the heavy traffic and crazy drivers. 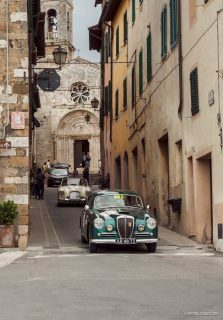 Despite the difficulties, we loved to follow the cars and driving our car in the twisty roads of Abruzzo completely made our day. 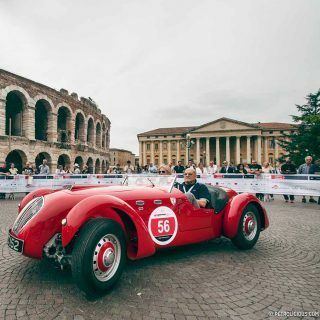 After spending the night in the capital, we got up early to be at the start of the third leg of the Mille Miglia, knowing that the stint from Rome may be the most iconic and one of the most anticipated of the whole tour. 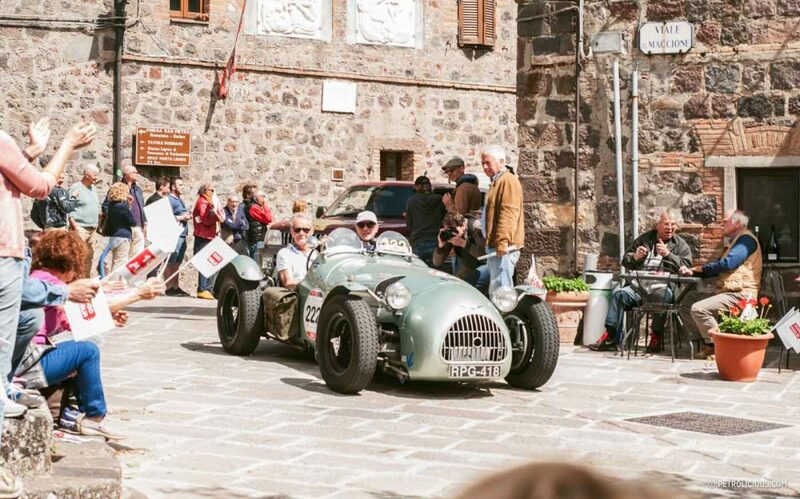 I shamefully confess that it was my first time seeing the hills of Tuscany, and following a convoy of stunning old cars at though twisty roads and ancient villages gave me the chills—there’s a first time for everything. 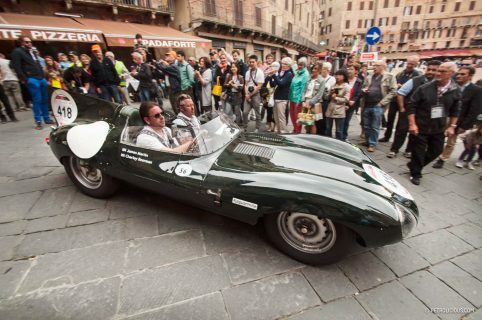 The pace the cars kept was impressive on those fast two lane roads: 70 mph (112 km/h) and they overtook everything! 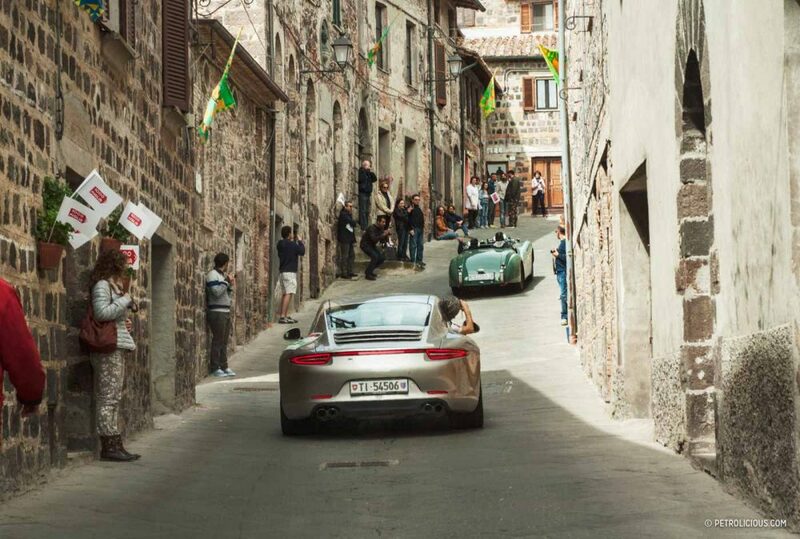 It’s a pleasure following a convoys of 20 cars flying through the hills and old villages. 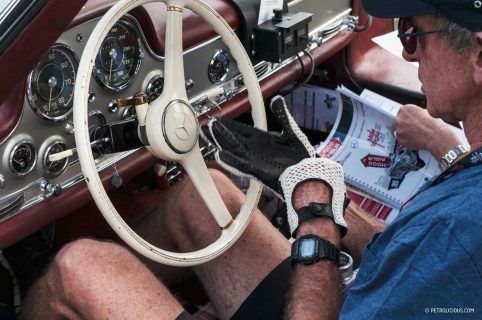 Despite being in a modern car, there were many old vehicles that still had the time to teach a lesson on how you properly drive these roads. Looking at how these cars kept their pace, I believe they are the material expression of the word “dynamic”. 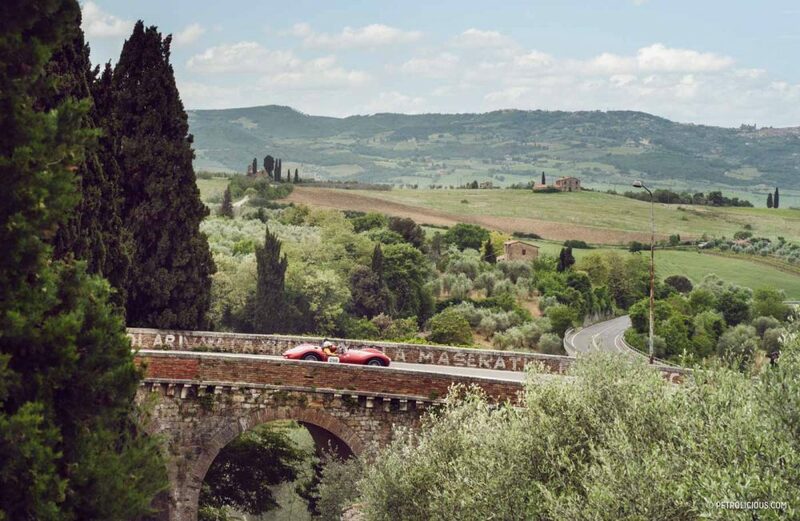 The long stretches of the roads of Lazio and Tuscany are proper grand touring drives, and everyone should drive there, at least once in a lifetime. 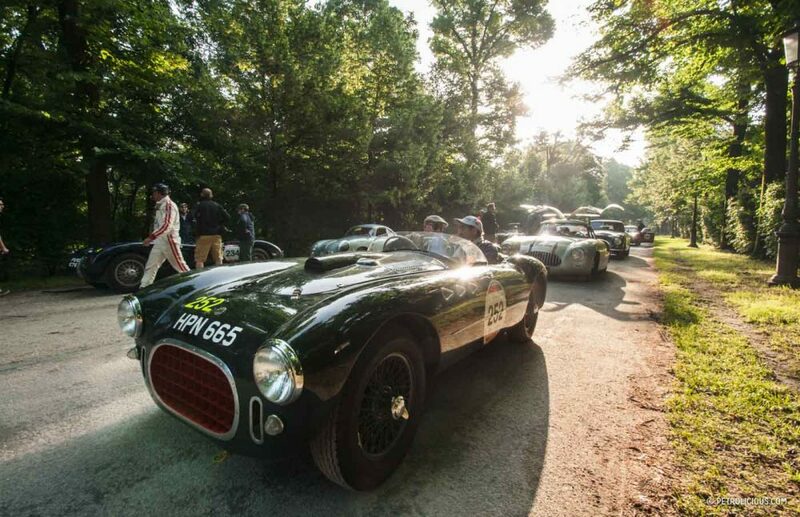 We took a couple of photos roadside, experiencing the thrill of seeing old machines passing faster than ever. 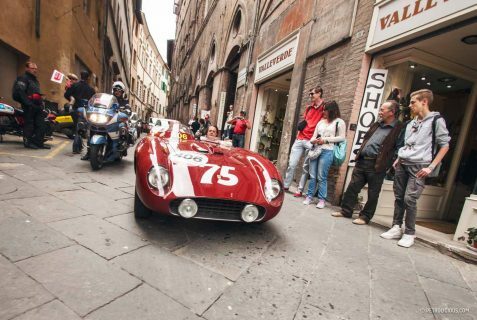 Being in a situation like this is a true throwback in time as there were no modern signs to break the fantasy of seeing old cars on old roads! 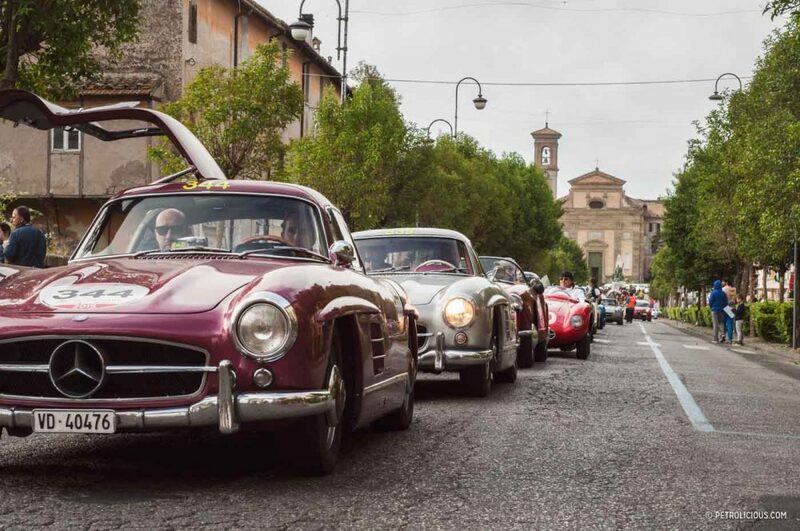 Following the roads, we passed through Radicofani, one of the most iconic places of the Mille Miglia, and then down to the grapevines and mimosa fields outside Siena. 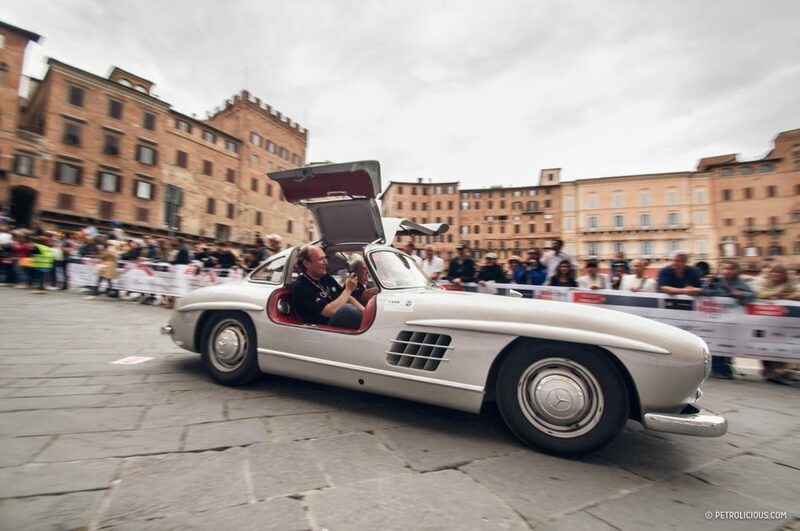 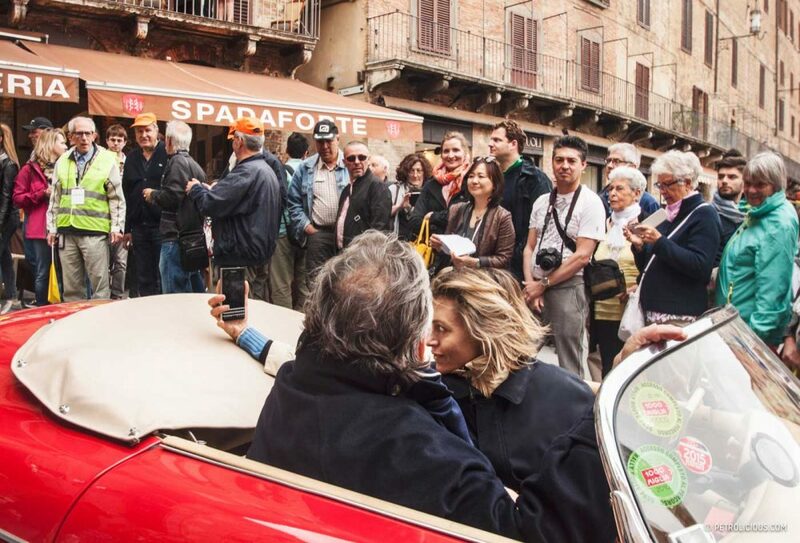 The arrival in Piazza del Campo of the Mille Miglia cars is just fascinating: the crowd went nuts in front of the Mercedes 300 SL Gullwing’s doors, and every red car was acclaimed with enthusiasm. The rumble of the engines echoed between the ancient walls, and the smell of burnt gasoline and cigars made me lose a further 20 years of my life! 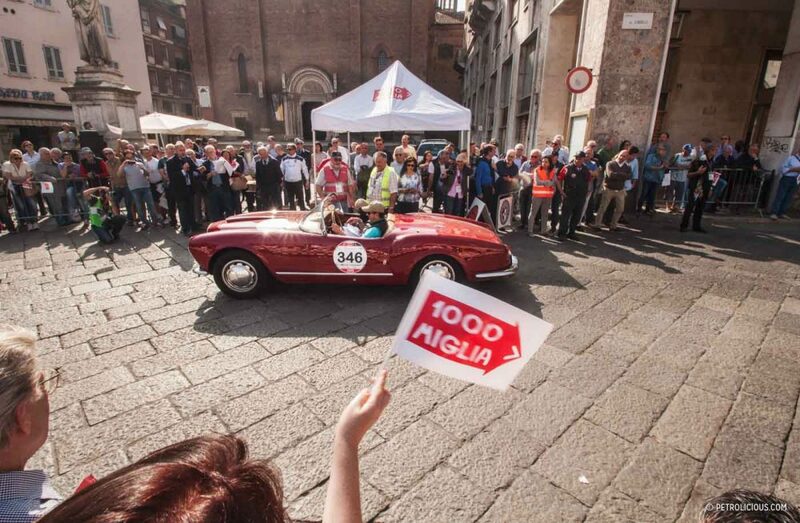 Again, like in our 1100 confetto, it was so worth it. 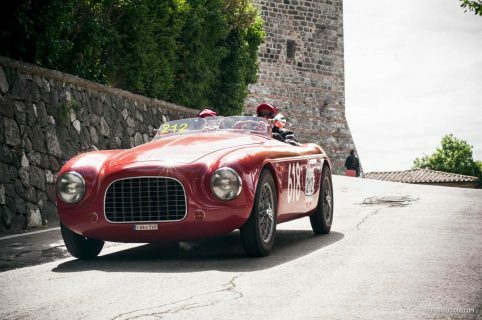 Despite we had a lot of cars to follow, me and Federico decided to take it easy: after taking a few pictures, we sat down in a miraculously empty table, ordered a cold drink, and enjoyed the rest—after four hours of constant driving and overtaking, we wanted to enjoy the prettiest traffic jam there is. 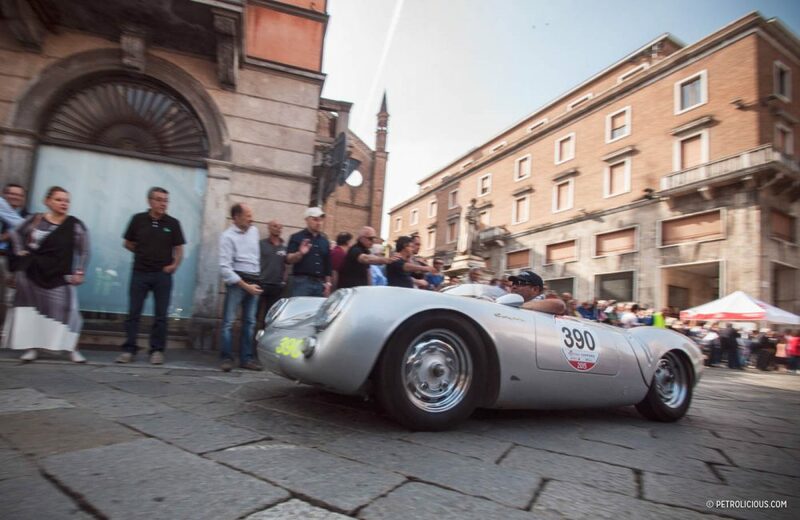 The Mille Miglia may leave you a bit disappointed if you want to go there and just drive: the time trials and time controls can be frustrating, and finding cars that skip the checkpoints is not that uncommon. 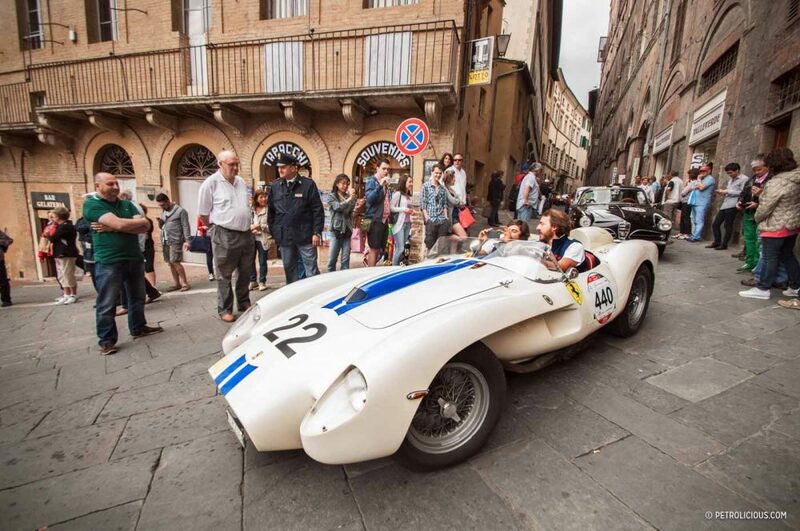 After all, people come there to drive freely their classics and skip the nonsense of the official rules. 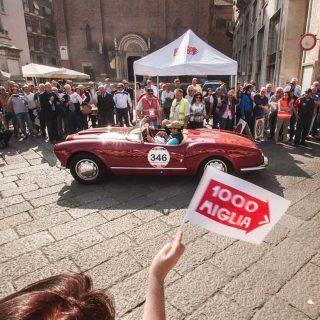 Despite a breakdown in our official entry, and then many hours at the wheel (which never represent a disappointment), we loved every moment of this experience: Mille Miglia is still the world’s most beautiful and enjoyable classic car event. 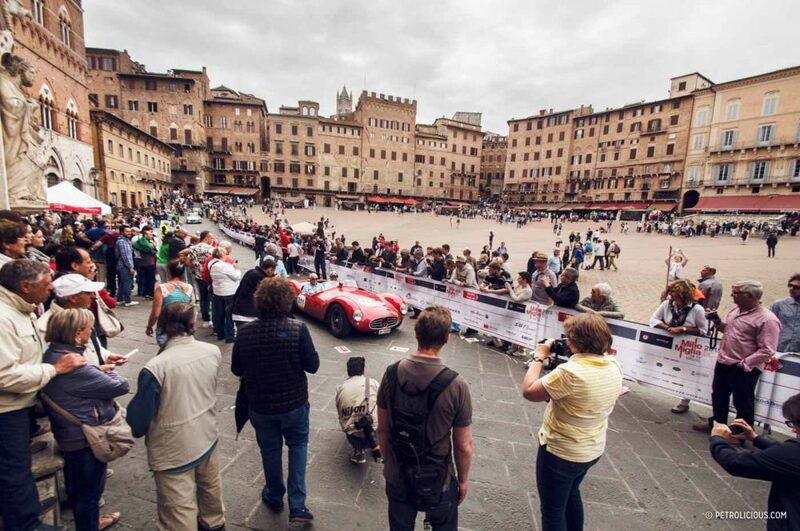 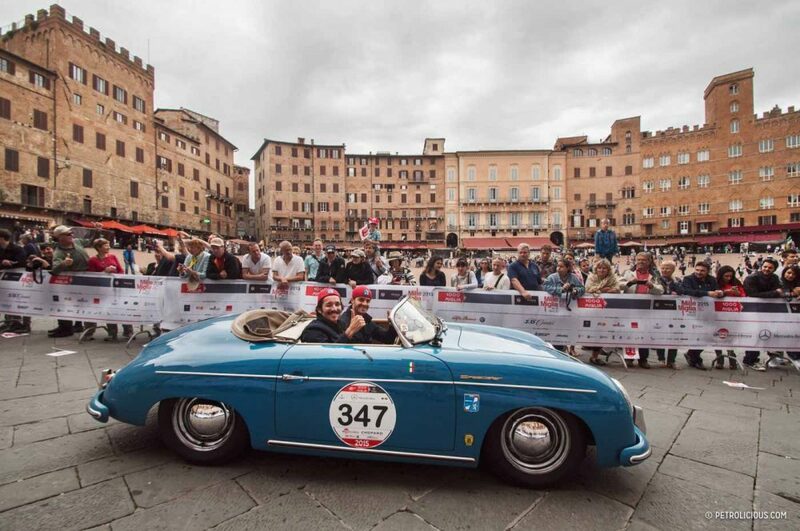 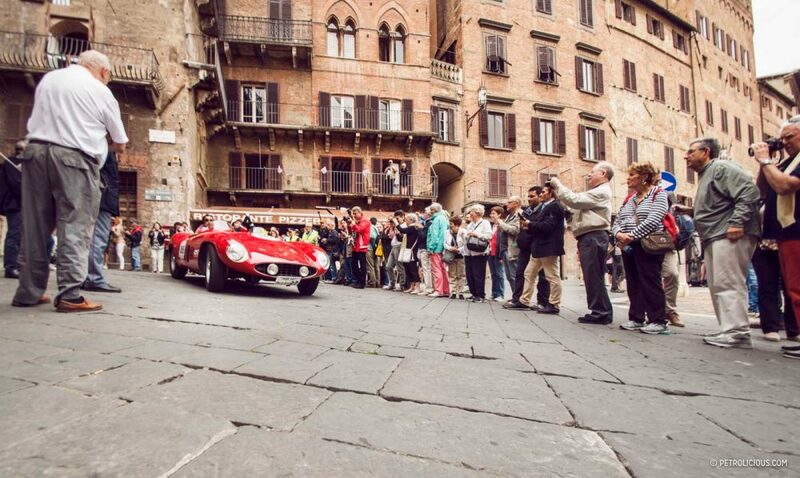 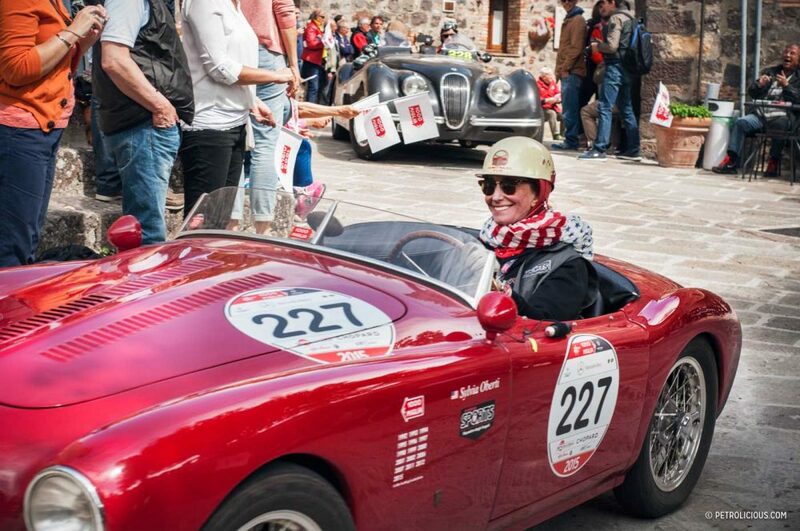 Travel What’s Special about the Finish of the 2015 Mille Miglia? 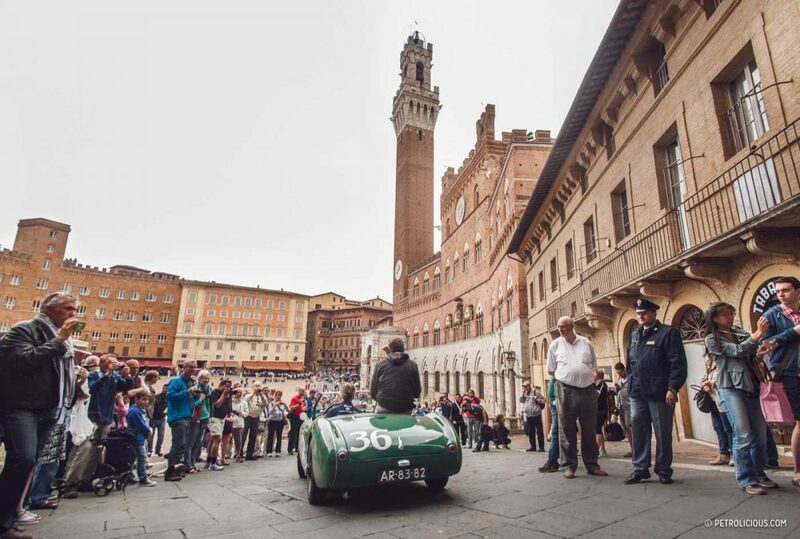 Travel Can You Believe Our Bad Luck Before the Mille Miglia? 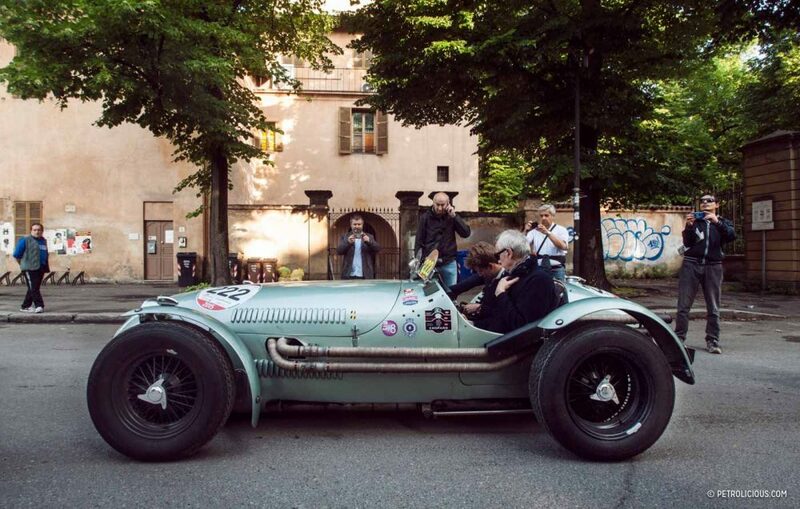 Large pale green cycle fender car in two photos is a (the?) 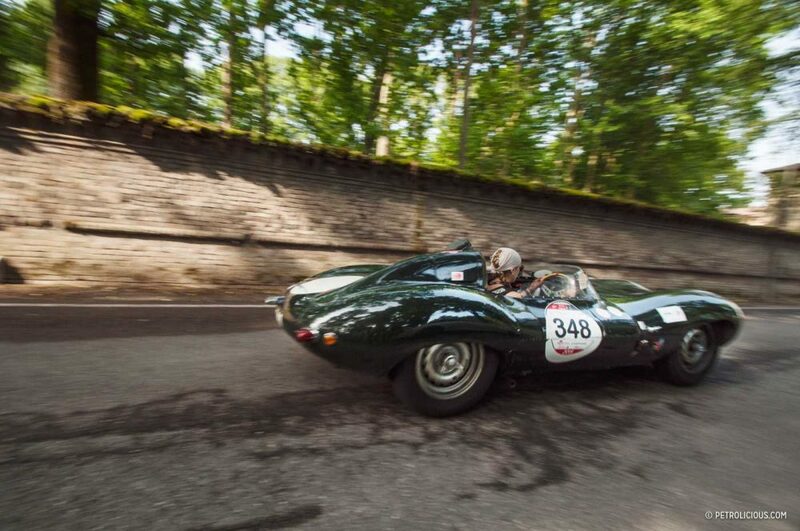 Jaguar powered HWM. 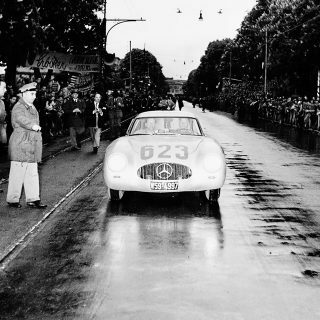 Earlier article had a right side photo of a slightly darker 4 cylinder HWM. 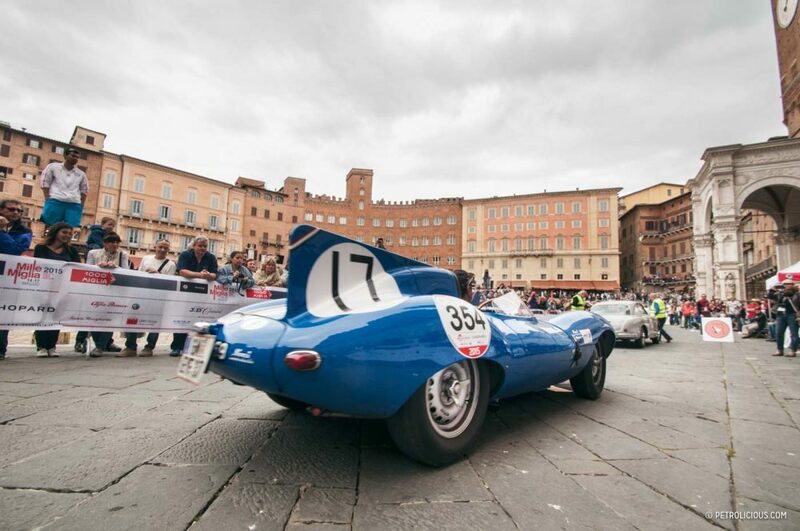 Simon Taylor’s Stovebolt Special is one of these with a small block Chevy…. 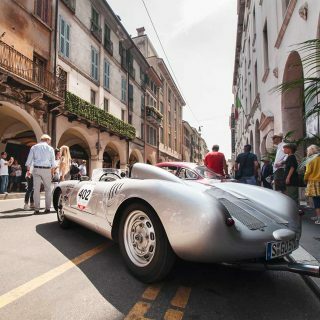 Sorry for your car. At least you enjoyed your trip, and I understand, I hope some day I could follow the race like you and your friend.